In some cases, a person realizes they are too drunk to safety drive home, but they have no place else to go. In some cases, the intoxicated person will try to “sleep it off” in their car. In other cases, a person will try to drive home and realize they can’t make it home safely, and they will pull over and then try to sleep. In other cases still, some drivers will simply fall asleep behind the wheel. This can happen while driver is stopped at a traffic light, or while the car is in motion. Both of these examples can result in a drunk driving car crash with serious personal injury or death. 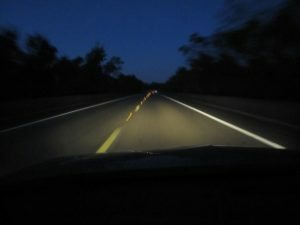 What many people may not realize is that when you stop your car and fall asleep while the car is in a travel lane, or otherwise obstructing traffic, this is drunk driving, and you would be responsible for any personal injury that results from a car accident involving your car, assuming the location of your car caused the accident. Many people also do not realize you can get arrested for drunk driving even if you are asleep when the police arrive, so long as you are in physical control of the car at the time.As our Boston drunk driving car accident lawyer can explain, even if a person was trying to act reasonable, given the option of pulling over and sleeping or to keep driving drunk, that person would never have been in that situation in the first place had they made better choices earlier in the night. This means that this conduct can still be the basis for proving negligence in a drunk driving car accident lawsuit in Suffolk Superior Court in downtown Boston. According to a recent news article from NBC Boston, a man was recently arrested for drunk driving in the parking lot of a police station. In this case, a police dispatcher noticed the unauthorized vehicle sitting in the parking lot outside the station. At this point, officers approached the car to do what is known as a welfare check to see if the driver was sick or otherwise in need of assistance. The engine was allegedly running at this time. Authorities have said defendant told them he had been driving and realized he needed to get off the road to avoid killing someone else or himself. He found the closest place to pull over, and that happened to be the police station. Officers said he was correct to pull over, but it was his decision to drive drunk in the first place that required them give him an OUI. They did, however, say that if the car had not been running, they likely would not have placed him under arrest for driving under the influence. It should be noted that, despite his alleged admissions to drunk driving, he has not been convicted of any crime and is presumed innocent unless and until he is found guilty in a court of law beyond a reasonable doubt by a judge or jury.